Product prices and availability are accurate as of 2019-04-25 11:44:09 UTC and are subject to change. Any price and availability information displayed on http://www.amazon.co.uk/ at the time of purchase will apply to the purchase of this product. 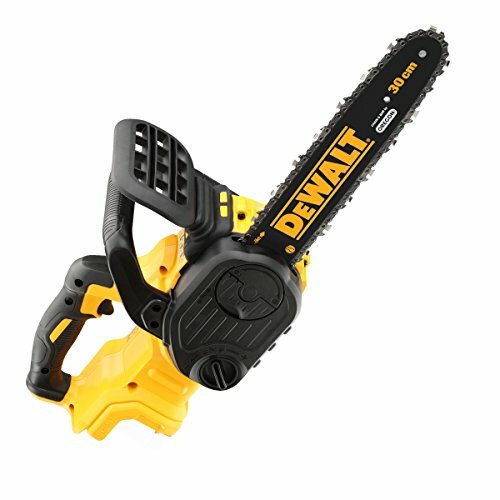 This Cordless Chainsaw by DeWalt has been manufactured with a Brushless Motor for increased run-time and power making it ideal for everyday use on the job site. The DCM565 features a lightweight and compact build design, suitable for one-handed cuts with a 7.68 m/s chain speed allowing tasks to be completed in a safe and controlled manner. Because the speed is just under 8 metres per second you don't need a certificate to buy this machine.